On 27-01-2015, we had Ms. Rose Mordi, Down Syndrome Foundation National President (Nigeria) visiting Vydehi School of Excellence. 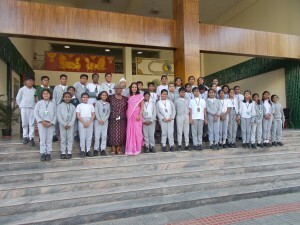 She had an interaction with our primary children. As a part of ISA activity, our Primary students got an opportunity to query and know more about culture, occupation, traditions of Nigerian People.